See the big picture of your PVAs in a glance. With a single source of truth, allow compliance teams to review the organization’s global PVA lifecycle in a summary view and dashboard. Formalize PVA templates, and then automatically fill them with standard field data captured in the tracker. Author and negotiate around templates in parts, and then merge them into a single final agreement for approval. 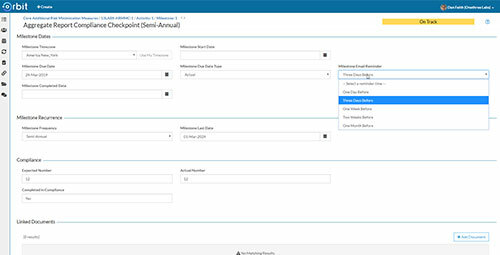 Reduce the burden of communicating around PVA authoring and review by providing stakeholders with up-to-date statuses when they need them, on-demand. Integrate with existing Master Product Data lists, formalize terminology with field look-ups, and standardize the PVA creation lifecycle. Assign both internal and external PVA Managers and stakeholders from defined lists and set deadlines with notifications from standardized contact lists and domains.